Library plays a strong instructional role in School. 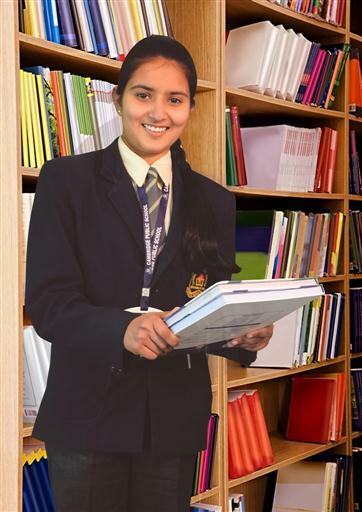 Cambridge Public School has spacious and well-resourced library with a variety of periodicals,journals, magazines, newsletters, fiction, reference books and volumes of encyclopedias that provide students with opportunities to discover the world of knowledge. We conduct special library weeks which includes Slogan writing, reading skills, language development skills and so on. It sparks the student’s mental abilities and brush up their creative minds with the help of our reference center. 1. Read and understand current information presented in a variety of forms like news papers etc. 2. Share information using a range of information and communications technologies. 3. Locate, gather and organize information using various informative resources. 4. Access, analyze and apply knowledge and skills from various disciplines. 5. Promote the development of independent study. 6. Strengthens research and critical thinking skills.